A series of discharges in hydrogen were performed in two experimental sessions. The vessel was not conditioned before the first session, while inductive heating of the vessel and cleaning glow discharge were applied before the second session. Experimental results from both sessions are compared, and optimum operational conditions for the majority of key plasma parameters are determined. It is found that plasma performance with a properly conditioned vessel is significantly better, as expected. In particular, a noticeable increase of discharge duration, and of the electron temperature is observed. The first experimental session was performed during 8th International Workshop and Summer School on Plasma Physics, Kiten, (June 2018, Bulgaria). Authors acknowledge an active contribution of participants of the workshop. Authors also thank to Vladimir Fuchs for careful reading the manuscript and for his valuable comments. This work was partially supported by the EU Operational program Research, Development and Education No CZ.02.1.01/0.0/0.0/16_019/0000778 Centre of Advanced Applied Sciences. 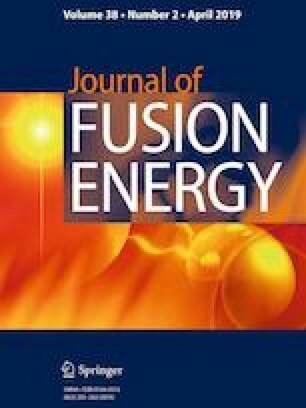 Additional support has been granted from International Atomic Energy Association Research Contract F13019, entitled “Network of Small and Medium Size Magnetic Confinement Fusion Devices for Fusion Research” and the Joint project between the Bulgarian and Czech Academies of Sciences, BAS – 17-05. The opinions expressed by authors do not necessarily represent the positions of the European Commission neither IAEA.